After Sun. 200ml. Th Pharma. Reparative milk . After Sun. 200ml. 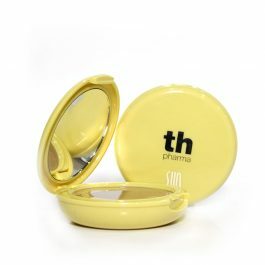 Th Pharma. Reparative milk for after-care from sunbathing. Anti-cellulite. 0% Paraben. Soothes and moisturises the skin after exposure to the sun. Paraben free. Its active ingredients, with soothing, moisturising and nourishing properties, encourage skin regeneration. Non-greasy liquid with a gentle and pleasant fragrance, rapidly absorbed into the skin. Instructions for use: Shake before use. After any exposure to the sun, apply generously to clean dry skin over the face and body. Photo-protective mousse spf30 Hight Protection. Invisible protection with bronzing boost. Anti-cellulite action. Non-greasy feel. 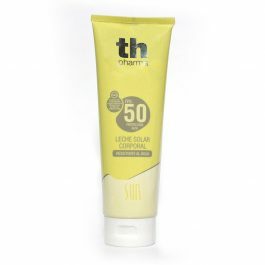 Sun protection cream Spf50 High protection. Water resistant. Sun protection milk designed for very sensitive skin. Effective against the combination of long and short (UVA/UVB) rays. Very resistant to water and sweat. With active anti-aging ingredients (hyaluronic acid and vitamin C). 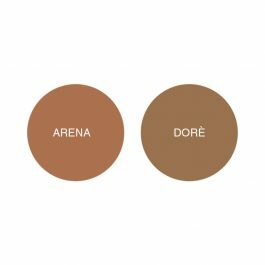 Daily-use make-up base for high protection against UVA and UVB rays. Leaves skin luminous, even and protected, with a silky matt effect. The 2 colours adapt to the phototype of each person with no artificial effect.